One Eternal Day: What should you read before you die? I recently developed a reading challenge for myself based on the authors and works found in a 1950s edition of the children’s card game “Authors” that my grandmother had. 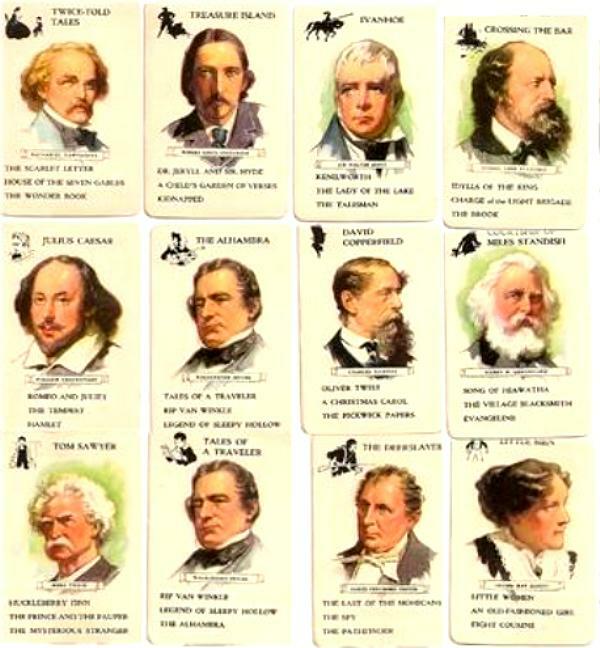 These are mostly works that were even at the time of the card game’s publication 100 years old or older. And now they’re older still! When I was about ten our landlady, Miss Kidder, was a retired elementary school teacher. She lived up a set of outdoor stairs at her house on Vernal Avenue in what was then Milton Junction. I would climb the stairs and she would read to me and we would also often play "Authors."